Last November 14, Dell rolled out its updated Inspiron portfolio in a grand launch at the Shangri-La Hotel in Makati. In the event were Jay Ranola (Dell Channel Acct Manager), Mon de los Reyes (Microsoft), Marvin Gamalinda (Dell Brand Manager), Charlz Adano (Dell Marketing Manager), Don Navarro (Dell Channel Account Manager), Wowie Wong (Intel), Mon Pablo (Dell Retail Account Manager) and the media. The latest Inspiron laptops and the Inspiron 23 all-in-one desktop, as well as three new Dell touch monitors were among the best Inspiron line-up showcased by PC Maker DELL. Inspiron 7000 Series offers the thinnest, strongest, and best Inspiron experience ever. The Inspiron 7000 Series laptops provide powerful performance in thin, upscale designs. It features diamond-cut beveled edges, the 7000 Series’ forged aluminum design turns heads and feels reassuringly strong. All Inspiron 7000 Series laptops come withoptional 10-finger, capacitive touch display with edge-to-edge Corning Gorilla Glass NBT for durability. Inspiron 23 is one of the thinnest 23-inch all-in-ones in the world, saves valuable desktop space with a gorgeous, razor-thin design Dell recently announced its updated Inspiron portfolio with a range of new laptops and an all-in-one PC that will be on everyone’s wish list. Inspiron 23 all-in-one features a full articulating stand and 10-finger capacitive touch display. These new additions to the portfolio significantly raise the bar on stylish personal computing, continuing the Inspiron tradition of delivering technology that is accessible and easy to use. The Inspiron 14and 15can both be outfitted with optional Full HD, vibrant 300-nittouch displays featuring 97% more pixels than HD and 160-degree viewing angles, twice as much as regular HD. The Inspiron 7000 Series features backlit keyboards as standard to make it easy when the lights are low, and is maximized for efficiency withIntel4th generation (Haswell) Core i5 and i7 options, as well as SSD optionsavailable later this year (Inspiron 15) to speed up boot times and application loading. Ideal for on-the-go types with up to 8 hours and 52 minutes of battery life , theInspiron 14 slips easily into a sleeve or bag with its ultra-thin 0.6-inch (15.3mm) design, which is 27% thinner than its predecessor, theInspiron 14z. The Inspiron 15 is the perfect blend of portability and performance, measuring under an inch thin (0.9 inches) with a large 15.6-inch screen and up to 7 hours, 24 minutes of battery life . In keeping with Dell’s commitment to sustainability, the Dell Inspiron 7000 Series is the first to use wheat straw as part of its packaging. This is the left over part of the wheat plant after harvesting that is often burned by farmers. By using wheat straw in its packaging, Dell is helping customers reduce their carbon footprint, and helping adjacent industries grow, while maintaining its commitment to the environment. Inspiron 11 3137 Bonsai, Manila Bulletin Inspiron 11 3137 Bonsai Inspiron 11 3000 Series: Ultraportable design, convenience of touch and familiarity of a keyboard Whether you’re toting a backpack across campus or travelling cross-country, the Dell Inspiron 11 3000 Series is a reliable, ultraportable choice for those who are on the go all day. The Inspiron 11 features an 11.6-inch, 10-finger capacitive touch display with noise-cancelling, dual-array microphones to make web chats amazingly clear – even in public spaces.At 0.83 inches (21.2mm) thin, a starting weight of just over 3 pounds (3.15 lbs.) and with up to 8 hours, 20 minutes of battery life , the Inspiron 11 is perfect for both entertainment and productivity on-the-move. To maximize the versatility and performance of Inspiron laptops like the Inspiron 11 3000 or Inspiron 7000 Series, Dell has a range of recommended essential accessories. Protect your investment with a case or backpack and take along a wireless mouse for easy navigation. Inspiron 2350 is one of the world’s thinnest 23-inch All-in-One PC. Priced at P69,990, it is a steal with its feature-packed all-in-one with a gorgeous, razor-thin design. With a Full HD, 10-finger capacitive touch display, the Inspiron 23 has an articulating stand for an intuitive interaction with Windows 8. Consumers can tilt the display, angle it closer for an easy touch experience, or even lay it flat. Perfect for a home office or living room, theInspiron 23 provides a powerful and enjoyable all-round experience while fitting nicely into the home décor with an attractive, slim design. The New Dell Touch Monitors 20, 23, and 27, connect to Inspiron laptops with the touch experience. With it, users enjoy an intuitive interaction with content onscreen by tapping, sliding, swiping, turning, pinching and stretching with their fingers. The monitors has extensive range of connector ports such as MHL, DisplayPort, HDMI, VGA and USB, while 1600 x 900 HD resolution on the 20-inch model, and Full HD 1920 x 1080 resolution on the 23-inch and 27-inch models for superb visual experience. A convenient, flexible stand enables customers to adjust these monitors to suit their viewing needs. Dell Inspiron 11 3000 series is priced at P24,990. 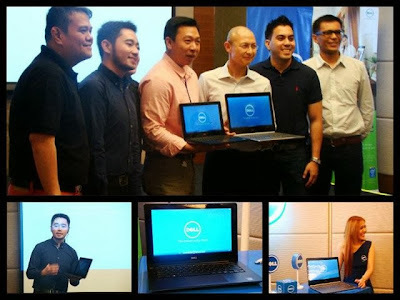 Inspiron 14 and 15 from the 7000 series sells at P48,990 and P58,990 respectively. 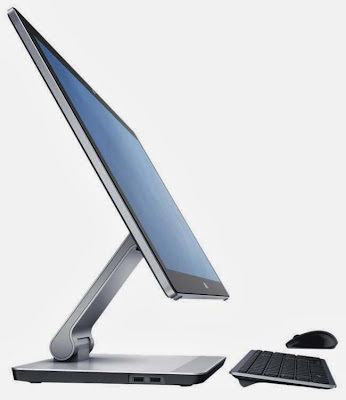 However, the Inspiron 23 all-in-one PC starts at P69,990.